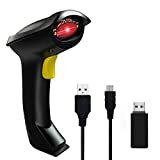 2D Wireless Barcode Scanner Symcode 2.4G CCD Reader is currently selling at $56.86, approximately $6.60 higher than average. With a lowest price of $39.99 and an average of $50.26 it is selling on the high end of its usual range. Price volatility is 1.04% (meaning it does not change often), so you might have to wait a while for the price to drop. Right now this product is a recommended 'ok deal'. 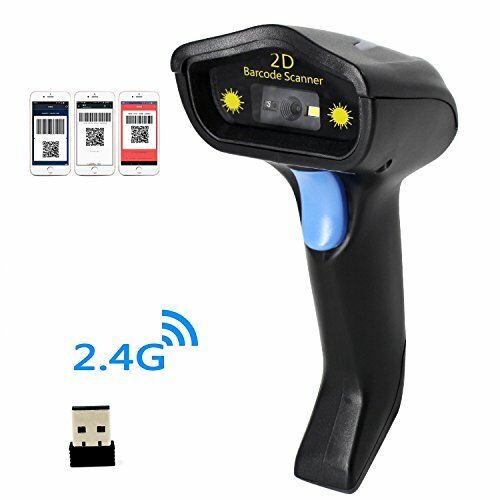 Compare the current price, savings (in dollars & percent) and Buy Ratings for the top Barcode Scanners that are closely related to 2D Wireless Barcode Scanner Symcode 2.4G CCD Reader. Here is how 2D Wireless Barcode Scanner Symcode 2.4G CCD Reader compares with other leading Barcode Scanners. The Symcode MJ-4000 Handheld Barcode Scanner is a reliable and easy to use 2D wireless 2.4G scanner that you can capture data accurately for quick organization.Its ergonomic design, durable construction and easy customization makes it well suited for application in a variety of businesses.The large capacity inventory can save up to 10000 codes giving you plenty of space to store data before uploading to a computer. When you want to upload the data, the scanner is compatible for Windows, Mac, and Linux operating systems as well as programs such as Quickbook, Word, Excel, and Novell.The scanner supports a wide range of barcode types including: UPC/EAN, UPC/EAN with Supplemental, UCC/EAN 128, QR Code,Code 39, Code 39 Full ASCII, Trioptic Code 39, Code 128 Full ASCII, Codabar, Interleaved 2 of 5, Discrete 2 of 5, Code 93, MSI, Code 11, RSS variants, Chinese 2 of 5, and extended ASCII support for Code 128 barcodes.2D:PDF417,QR-code,Data Matrix.The barcode reader has over 180 configuration options, allowing you to add prefix and suffix codes, or to delete starting/ending characters. 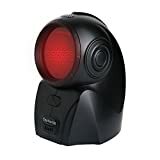 You can even add keyboard keys/combinations to the scanning operation.What's Included: Barcode Scanner (Model: MJ-4000); Charging Cord; and a User Manual.Specs:Input Voltage: DC5V±0.25v;Current: 25 mA (work); 95 mA (instantaneous);Decoding Speed: 100 times / sec;Wireless Range: 40m (viod);Charging Time: 2.5Hours;Battery Life: 30 Hours. FeaturesCMOS optical imaging scanning technology that is researched and developed independently can identify screen code, incomplete code and fuzzy code etc, Effectively compensate for the problem that laser scanner can not identify screen code.Wire Free Communicator: 2.4G wireless communication provides 60-80 meters of effective communication; Can capture 1D, 2D codes on labels, paper, and mobile phone or computer displays easily,Sensitive and accurate.3 READ MODE:Manual trigger mode,Auto-sense mode and Cotinuous mode.Can read the smallest size of QR code is 1*1cm.Easy Scanning: Handheld laser barcode scanner capable of saving up to10000 codes; ideal for business, shops and warehouse operations.Computer Friendly: Compatible with Windows, Mac, and Linux; works with Quickbook, Word, Excel, Novell, and all common software.